Hi. 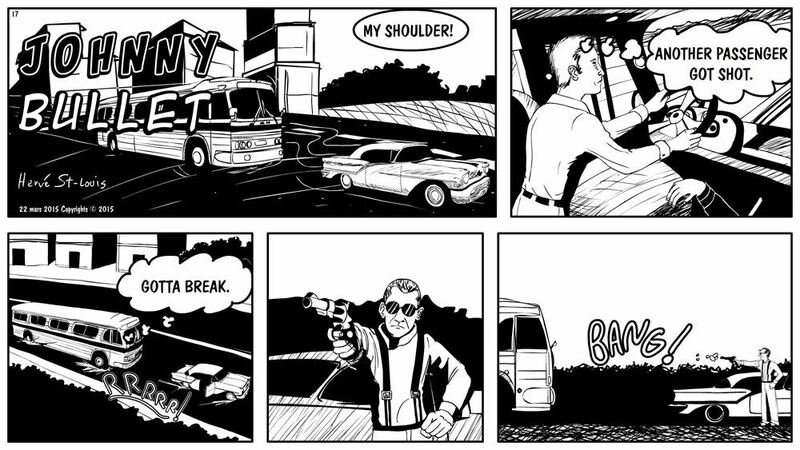 Here is the latest Johnny Bullet page. 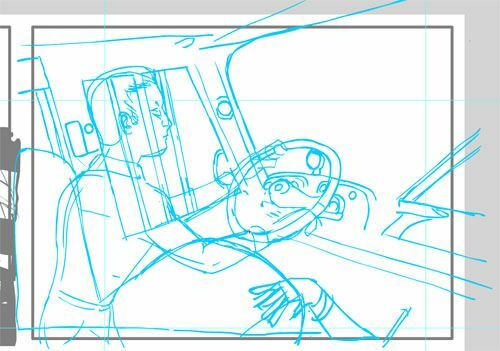 The pencil sketch is the panel where Johnny takes control of the bus.